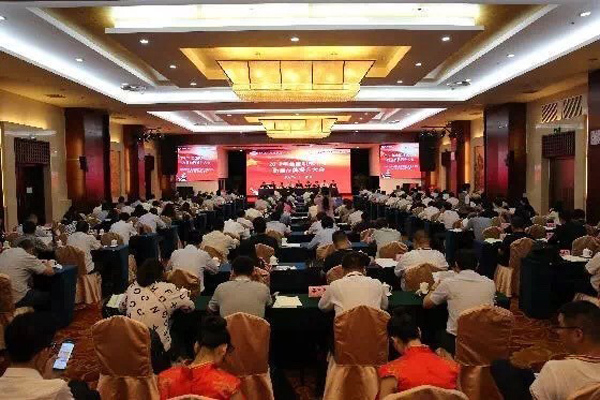 On September 26, 2017, the National Machinery Industry Quality Brand Promotion Conference was held in Beijing. 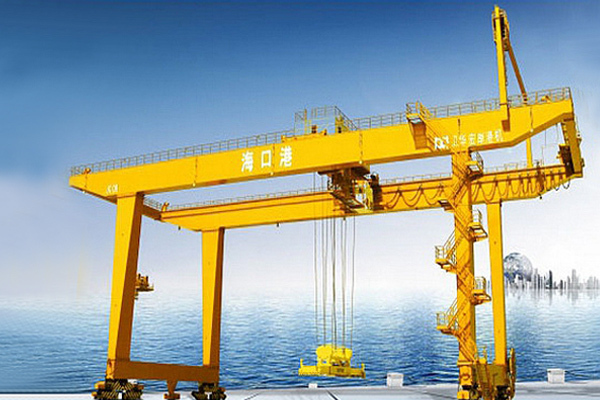 At the conference, Weihua overhead crane and gantry crane were honored as China Machinery Industry brand-name products. 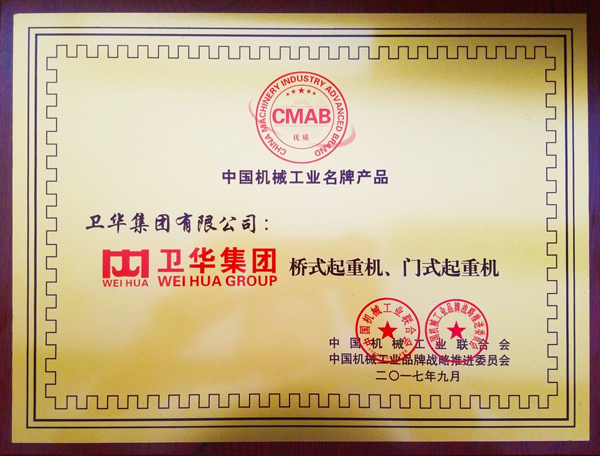 Some leaders from Ministry of Industry and Information Technology and AQSIQ attended the conference and delivered a speech. 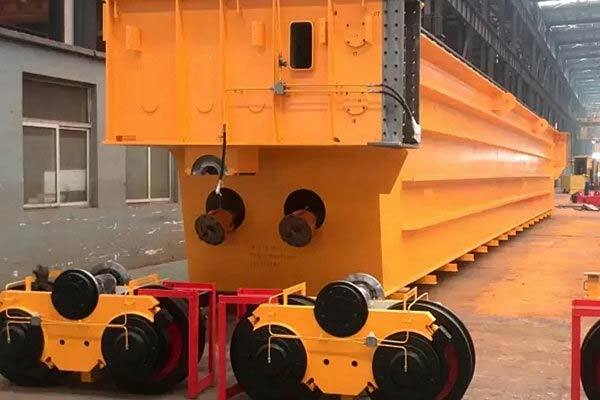 There were more than 160 enterprises, part of the machinery industry cluster local government and representatives from National Machinery Industry Association participated the meeting. 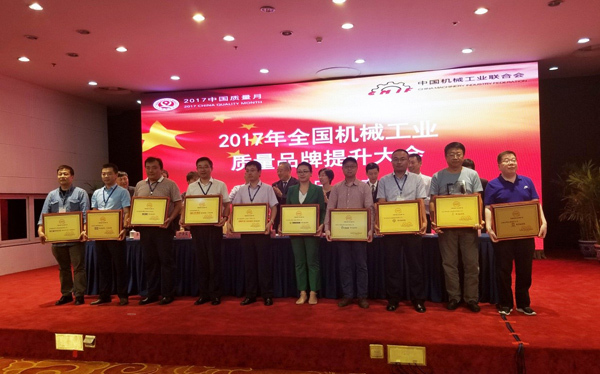 Some role models were commended at this conference, including 39 quality integrity enterprises, 30 quality brand creating models, 17 outstanding quality brand workers, 13 quality brand benchmark, 94 brand-name products, 8 quality Engineering projects and 9 quality brands promotion organizations and individuals. 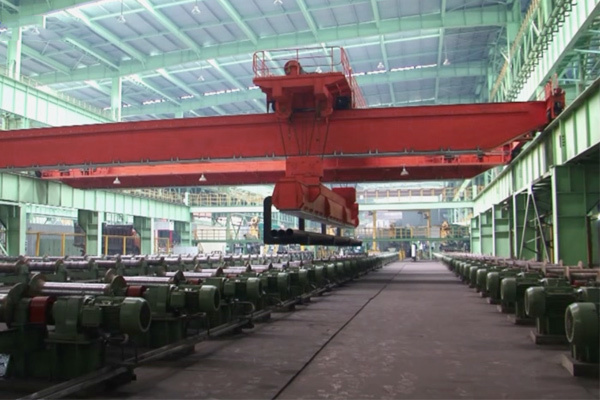 Quality is the founding of the country, the basis of enterprises' success. 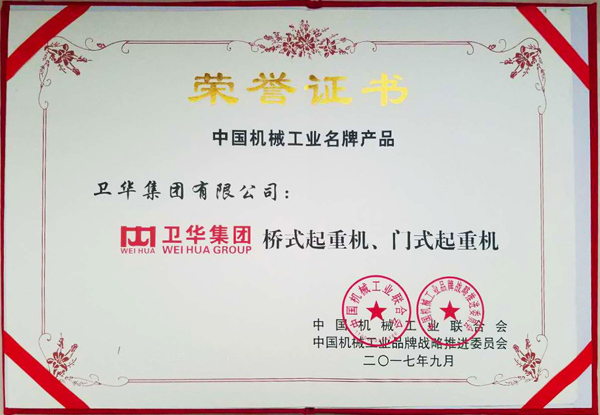 Over the years, Weihua Group has always been focusing on product quality improvement and brand building, and constantly improve the quality of infrastructure, carrying out all-stuff quality improvement activities, strengthen technological innovation, enhance brand competitive advantage, research market demand, making new products to carry out strategic transformation and upgrading, so that Weihua has always keep leading place of the industry.